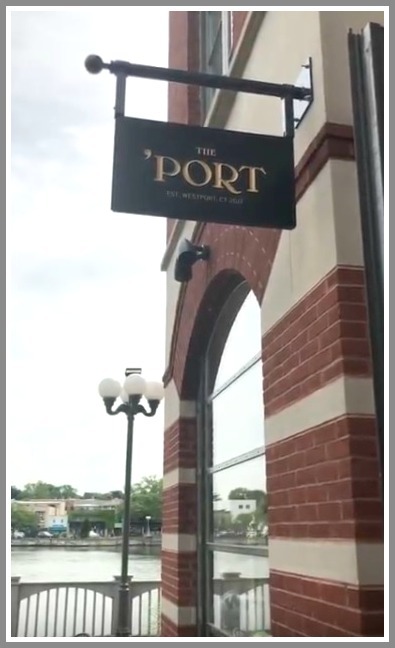 The ‘Port — the casual family restaurant that opened in National Hall 13 months ago — serves its last meals and drinks this Saturday. Owner Sal Augeri told his staff of the closing this afternoon. It’s been an amazing year. I’ve had the privilege to meet and get to know so many wonderful people in our community. We tried our best to bring something special to the community. We knew it was a challenging business in a competitive market, and it was difficult to maintain as an independent business. 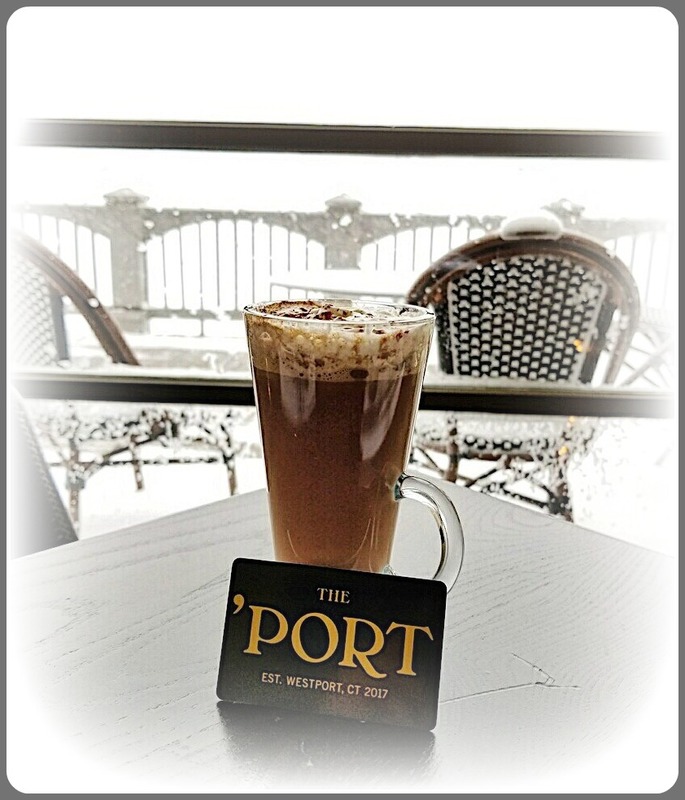 The idea of opening The ‘Port was to create a comfortable space for families to gather and celebrate good times. I am thrilled we accomplished that. We loved hosting everyone from local teams for victory dinners, to Staples Players, to Catch a Lift, to giving local musicians a place to showcase their talents. It was also wonderful to be able to give so many teenagers and young people an opportunity to work at The ‘Port. So many people who have been a part of this have been so supportive, including all our local investors, and the friends and families who became our regulars. We appreciate everyone who filled this past year with great memories. We look forward to seeing these new friends around town. It’s an excellent space, with views of the Saugatuck River and a nice patio. Nearby parking — shared with Bartaco and now OKO — is tight, though a multi-level garage sits across Wilton Road. The ‘Port filled an important niche. But in today’s tough restaurant business, in the end it wasn’t enough. There is no word on what may replace The ‘Port. An everything-must-go auction is set for Monday (July 2, 9 a.m.). Meanwhile, we’ve still got 4 days to enjoy this true Westport restaurant. This entry was posted in Downtown, People, Restaurants and tagged Sal Augeri, The Port restaurant. Bookmark the permalink. if everybody in down town had stopped for a drink regularly they wouldn’t be closing! Thanks Adrian. We all need to support local merchants or they will continue to fade away. Thanks Sal. Your unwavering support of all the local businesses downtown is very appreciated. This is very unfortunate news. My wife and I loved this place – even skied there once for a perfect dinner in the middle of a huge snow storm when no one else was serving. We always marveled at how everyone seemed knew everyone. So sorry it didn’t work out – it sure wasn’t for a lack of trying. Thanks so much. We appreciated having you as our guests. And happy that the snowstorm didn’t stop you! Thanks so much for your support and your kind words. Appreciate it. With all the competition from Norwalk and Fairfield, Westport downtown ought to figure a way to get people out of their cars and not be afraid to walk across the bridge. Make Main St a pedestrian walk way and for their own sake, have the land lords back off on the rents. Never liked the place. Overpriced cocktails, mediocre food, always empty, nothing to write home about. If it was so great, why is it closing down after only 13 months. Other really good places in Westport keep going strong. Who shot your puppy? These people are our people. They took a big risk and gave it their all. That’s very American. So have a heart. If she didn’t like it, then that is her “very American” opinion….not sure what that has to do has to do with her heart. Great, then we’re in agreement. not nice knocking a whole family’s hard work down. that is morleys point. I hate to see businesses fail, but so many better restaurants have. If we had liked it, we certainly would have returned. 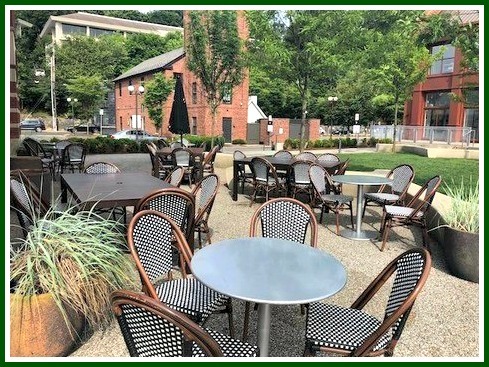 Exactly what I said in my comment, but I’m getting attacked for expressing criticism from some of the readers….and I agree, if it would have been good, I would have returned, as I do with others restaurants in Westport. Tough to hit that sweet spot “family (kid) friendly” with all the competition… parking…the bridge…sorry it didn’t work out…not their fault. Seems to be working out ok for Bar Taco…. I am going to agree with Bobbie. I wrote a similar review on TripAdvisor. It’s no surprise this place is closing. The concept could have worked in a less expensive place. The rent was probably so sky high that they had to charge what they did. The issue was that you can’t charge those prices and offer very mediocre food and untrained and inexperienced servers (they had high school kids working there which is a nice idea but they haven’t a clue). I don’t know why restauranteurs in town haven’t figured out the model that succeeds. You either are a high end restaurant with outstanding food, great service and charge for it or you have to go the complete opposite way. Families don’t want to spend the kind of money we had to at the ‘Port – I don’t care that they try to make it family friendly. If I am out for the evening with friends, I don’t want to be surrounded by everyone else’s kids and pay what I would pay for a high-end experience. This place was masquerading as something it was not. Either you are high end and charge that way or you are not. Maybe if the food and service were really good, it could have made a difference. If the cost structure is too high then you shouldn’t be opening up this kind of restaurant in Westport and try to pass this off to us – the food, service, prices – it’s a little insulting. So many places in town open and close – how do restauranteurs not understand the recipe for success? Jay, I’m just wondering: How many restaurants have you owned and operated, and how have they done? Dan, I can’t say that I have owned and operated a restaurant but I’ve lived in town for 20 years and have been to most here and in the surrounding towns countless times. So, I’ve seen the inflow and outflow and they all pretty much follow the pattern I’ve described. The high end ones that charge a lot but deliver on food and service tend do well. The low end ones that don’t overcharge but also set expectations for diners in terms of service and quality also survive (think diners, many Asian restaurants, many pizza and Greek restaurants). Almost everything else in between goes away. You don’t have to own and operate the restaurant to know that. You actually have to be a good businessman and hire a decent chef. In my opinion, the exception to this is when trends and tastes change but even then the good ones prevail. Bar Taco survives because it is inexpensive, a lively atmosphere, and patrons know they are not getting stellar food or service. They operate 17 restaurants and the model is the same all over – that’s why it works. I am sure that if they raised their prices to what the ‘Port changed but didn’t change the quality of the food or service, they would be out of service as well. They are better businessmen then chefs. This is not rocket science. Makes me sad to see these negative comments here. Sal went out of his way to create a community place, and if there were some growing pains, no one can say his heart wasn’t always in the right place. Those complaining about service- well, if you applaud the idea of a local place hiring local kids and giving them experience, then you should be patient as they learn. As far as the food, the menu settled out to a great blend of trendy bites and modern takes on classics. The economics of the restaurant business are very tough, and Sal kept prices reasonable while trying to cover what had to have been ridiculous high rent. Always a supporter of Westport and Westporters, Sal gave generously to local teams, non profits and anyone else who approached him with a need. When I was faced with a last minute venue change for the Artists’ Collective Open Studio Tour in May, Sal opened up early for us, gave us a down and dirty price so we could honor our ticket pricing, and came through with a delicious and beautifully presented brunch. We’re all losing a wonderful piece of community with ‘Port’s closing. If Sal isn’t too scarred by the experience, I hope we see him try this concept again, maybe in a more accessible, lower rent location. In the meantime, be nice, and don’t kick someone when they’re down. That’s part of being “community” as well. Amy, I had favorable experiences similar to yours and was hoping to go back when we return for a visit in the fall. Very sorry to see them close. Thanks for your kindness Fred. Thanks Amy. Operating a restaurant was certainly hard work but being able to support the community and host events like the Artists’ Collective group were an important and very positive part The ‘Port. Sal and Melissa- Thank you for trying to do something different. With all the travel sports, activities, vacations, competition with many restaurants throughout the Westport, Norwalk, and Fairfield lines, I get it. Add in rent, utilities, cost of food, and of course a State that is tax crazy – the rock being pushed up the hill was in fact a boulder. Thank you again for trying to help build a place of true community and family dining. Wishing nothing but the best to two good people who I consider good friends. Thanks Jimmy. My family appreciates the kind words and best wishes. Thanks to so many of you for the best wishes and supportive comments. While business is business, I’d like to remind everyone that it’s also more than that. Behind every local business are hardworking people. That’s the true strength of family, friends and community. There are many people who have invested their ideas, their money and their hard work to create and build that business – including all of our investors and employees. I will never consider hiring local students a mistake. Perhaps some of them needed a more rigorous training program, but I am very proud of the students that we hired and would do it all over again. It’s very important for the young women and men in town to learn how to be responsible, take direction, figure out what it means to work hard, get paid for their efforts and learn from mistakes. These young people and my own children were also able to see me learn from my mistakes. I am grateful for every single young person who walked through the door at The ‘Port and put in their best effort. We weren’t always perfect, but we all worked very hard to build something, and I’m happy that so many people in our community were able to support us and enjoy it. As Dan mentioned – in the end it wasn’t enough but I have very fond memories of the wonderful people I have met and had the pleasure to talk with. Now let’s continue to be positive and support other local businesses so that Westport can remain a town we love to live in. No single person, group or business is perfect but let’s applaud them for taking a chance and making the effort to be here by patronizing their businesses and contributing to their success. It’s good for all of us. I walk past the port each evening after work and it rarely had more than a few patrons inside…a shame. I was only there once a year ago after the Reunion band performance at the Levitt and it was the perfect place to get together. Our food and service were great and the atmosphere matched what I remembered I liked about Westport. I especially liked the name. I too was looking forward to going there again this summer and am sorry for this outcome. I wish you well in your next endeavors and thank you for your hospitality. I’m sad to see Port go. As w/ every new restaurant, you have to work out the kinks in the beginning and I felt that they truly did – their menu, food & service continued to improve and I really grew to like this place. Best Wishes for the Future and YES, why bother w/ the negative comments!! I respect Sal and other business people for taking a risk and trying to make a go of things around here. I just wish I knew why it seems increasingly hard for them to succeed and why so many places are closing. Merchandise retailers are up against the Internet, but that doesn’t affect restaurants. The only common problem I can think of are high rents, which in turn are are a function of our sky-high real estate values. Since I don’t plan on selling my house in the foreseeable future, and since I’d like to be able to go on buying stuff and eating out around here, I find myself counterintuitively hoping for a real estate slump! When we talk about walking across the river, don’t forget the effort, still possible, to have a pedestrian walkway from Parker Harding across the river to the former Save the Children location. It remains as one of my downtown goals.